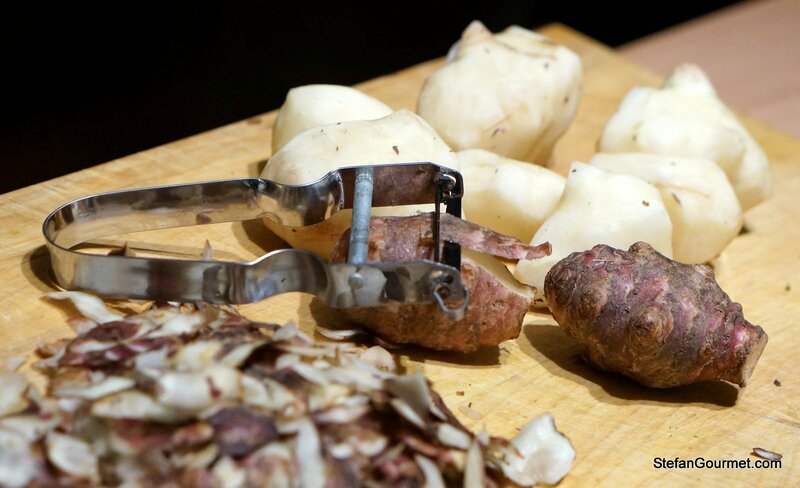 Jerusalem artichokes (also known as sunchokes) have gotten their name because these tubers taste like artichokes. I was curious what jerusalem artichoke gnocchi would be like, and so I decided to make some. The gnocchi tasted as expected: like artichoke! I don’t think you could be able to tell the difference. Making these gnocchi from jerusalem artichokes rather than real artichokes is less work and more economical, as from real artichokes you’d only be using the heart (which is only a small part and a lot of work to get to). 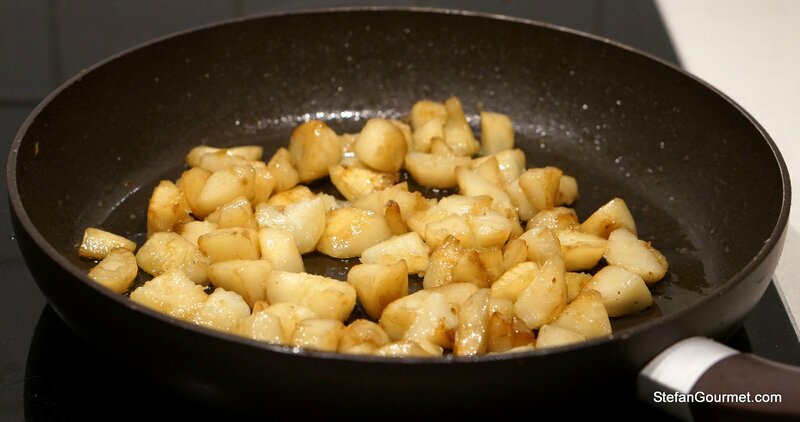 To boost the flavor, I sauteed the jerusalem artichokes before turning them into gnocchi. Not to waste any flavor, I used the liquid for the sauce that I squeezed out to make them drier. Since this was the first time I made them, I served them with a simple sauce of melted butter and parsley so I’d be able to taste the gnocchi. I think they’d be great with some diced pancetta. Here’s what I did. Start by peeling the jerusalem artichokes. This is easiest if you select tubers that do not have a lot of ‘fingers’. Dice the jerusalem artichokes. 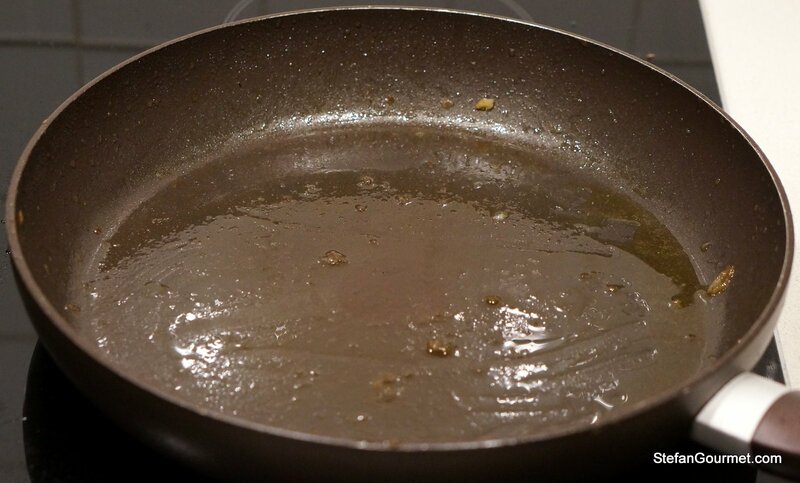 Heat about 25 grams (2 Tbsp) butter in a non-stick frying pan and sauté the jerusalem artichokes over medium high heat until they are golden (about 5 minutes). Add about 125 ml (1/2 cup) of water and season with salt. Cover and cook for about 20 minutes, stirring now and then, or until they are tender. Most of the liquid should be gone. If not, cook with the lid off over medium heat until most of the liquid has gone. 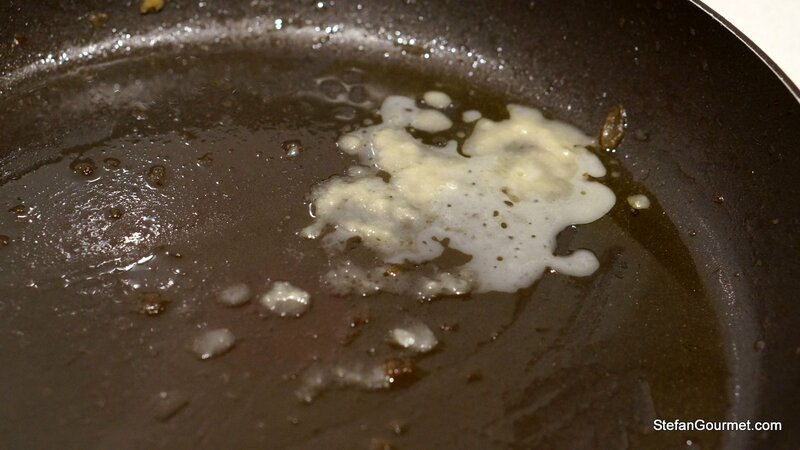 …but reserve the pan with what remains of the butter and jerusalem artichoke juices. 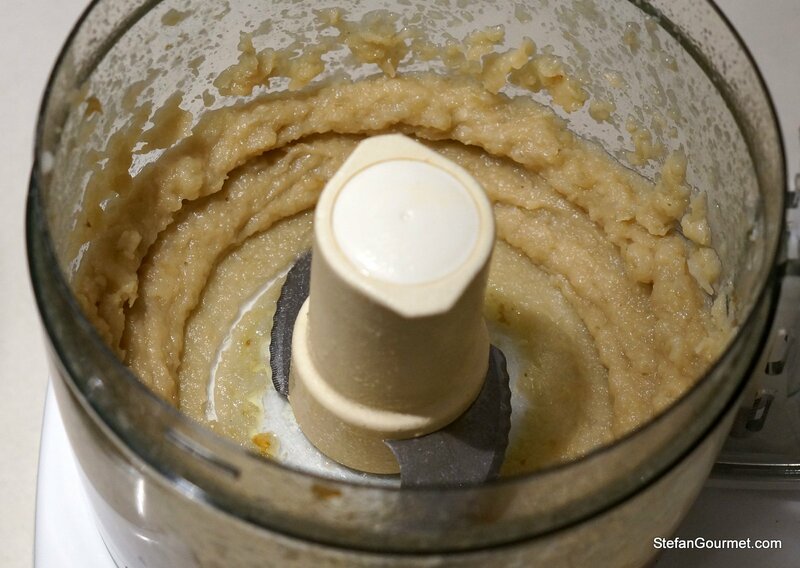 Puree the jerusalem artichokes using the food processor. 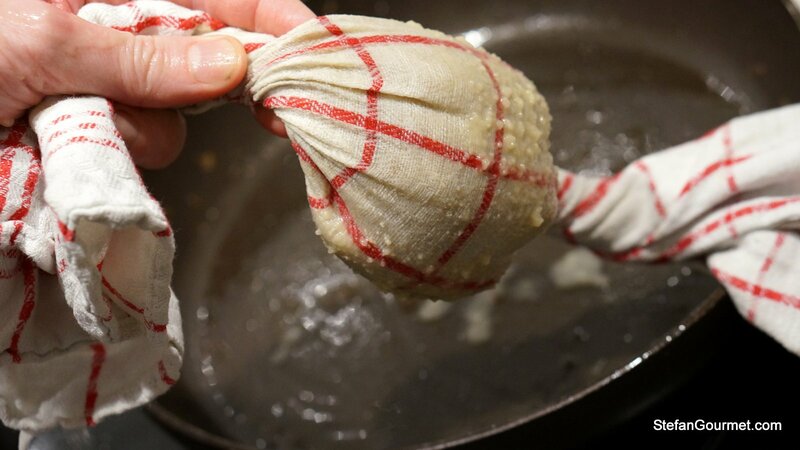 …and squeeze out as much of the juices as you can. 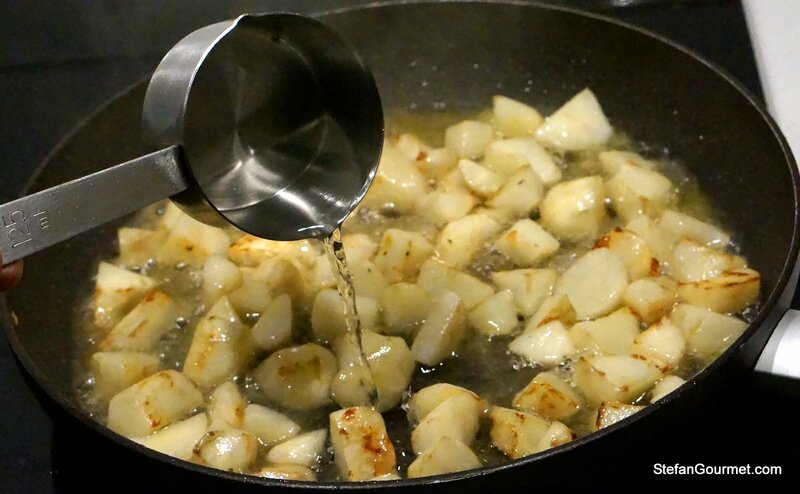 Make sure you catch all of the juices in the pan that you used to sauté the jerusalem artichokes to use for the sauce. 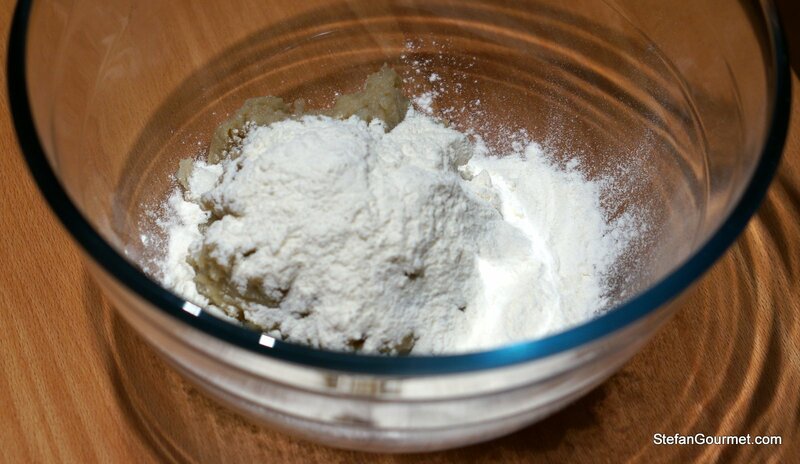 Transfer the puree to a bowl and add the flour. 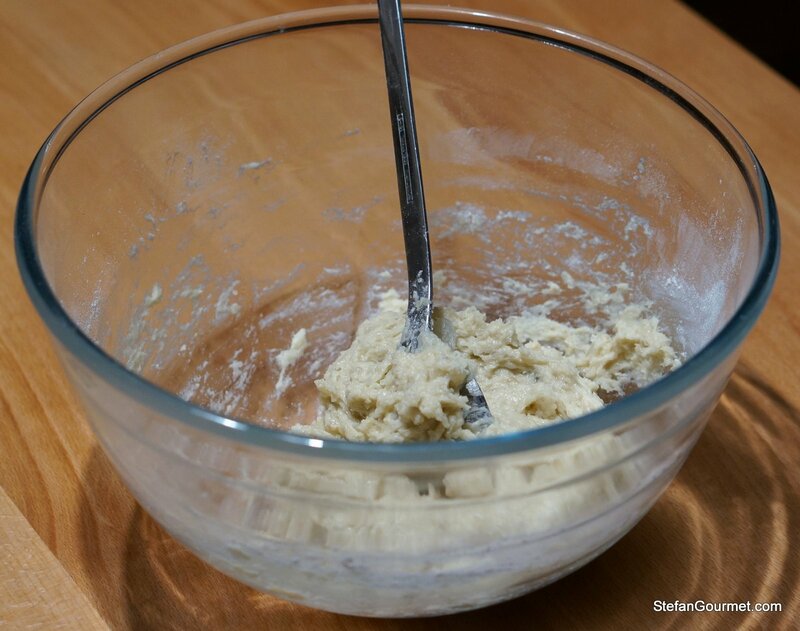 Stir with a spoon to incorporate the flour. 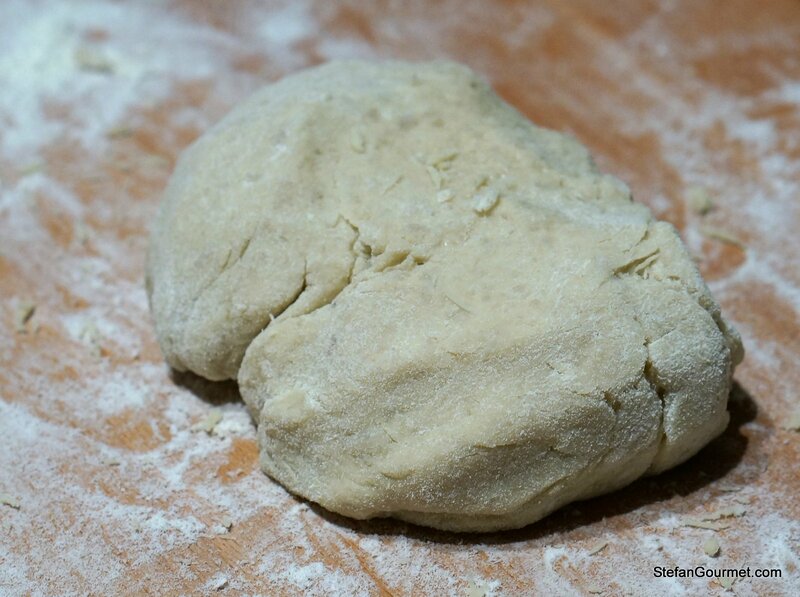 Transfer the dough to a work surface, preferaby wooden, which has been sprinkled with flour. Knead the dough briefly but not longer than necessary. 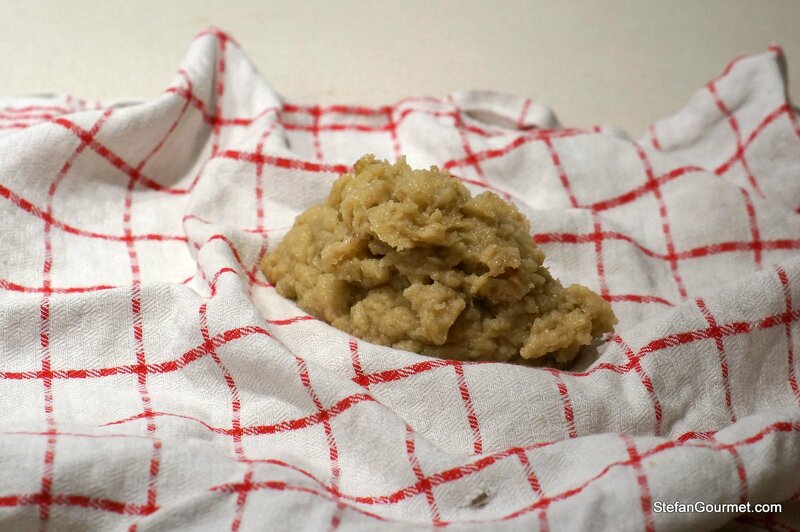 The dough should be dry enough to handle, but still slightly sticky. 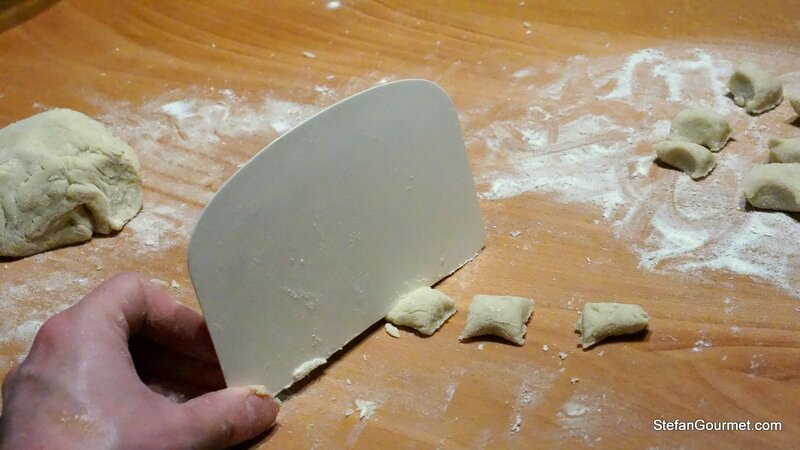 Take a piece of dough and roll it out into a ‘snake’ that is about as thick as your finger. 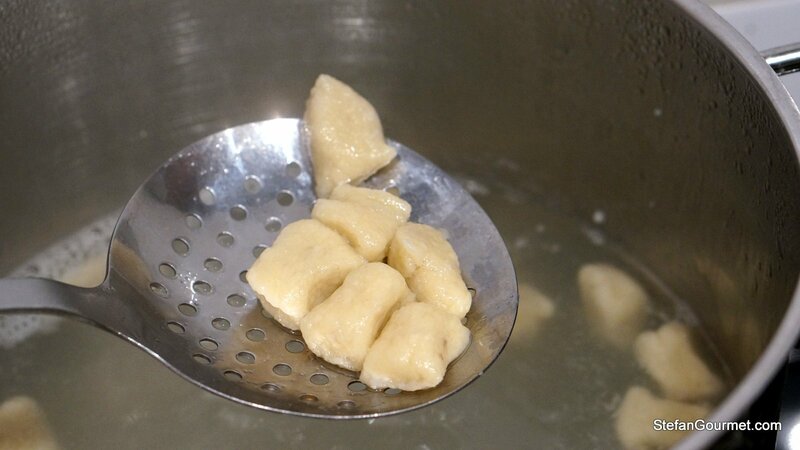 Cut the snake into individual gnocchi (of about 1-1.5 cm or 1/2 inch). 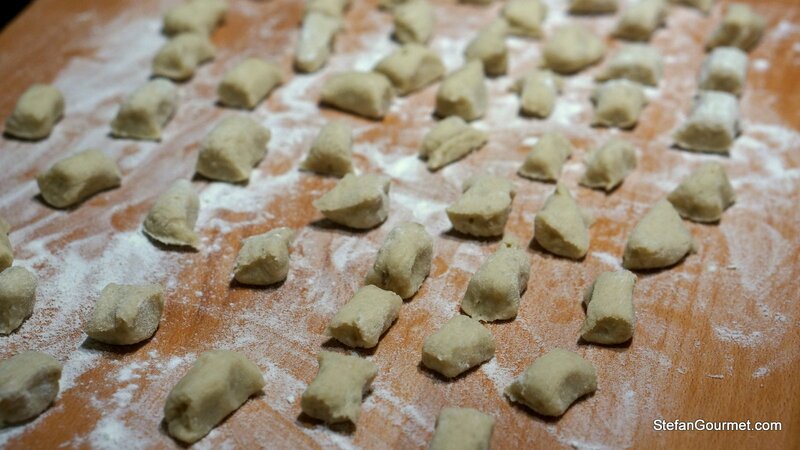 Arrange the gnocchi on a floured surface, or even better on a kitchen towel sprinkled with flour. 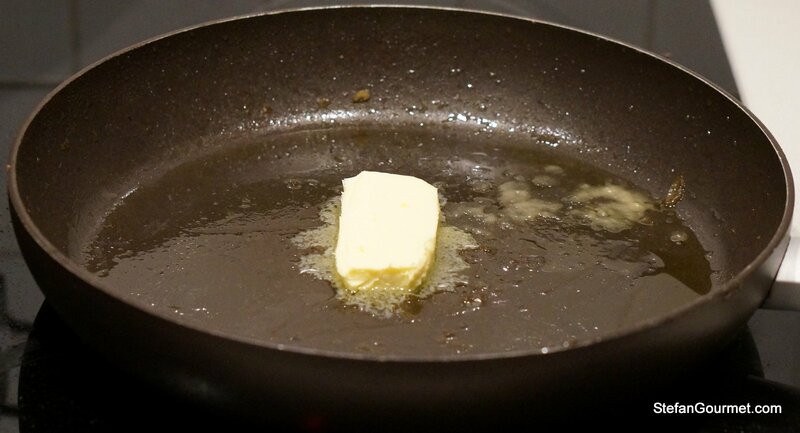 Melt the remaining 50 grams (4 Tbsp) butter in the same pan that you used before over low heat, and stir to mix it with the juices that were still in the pan. 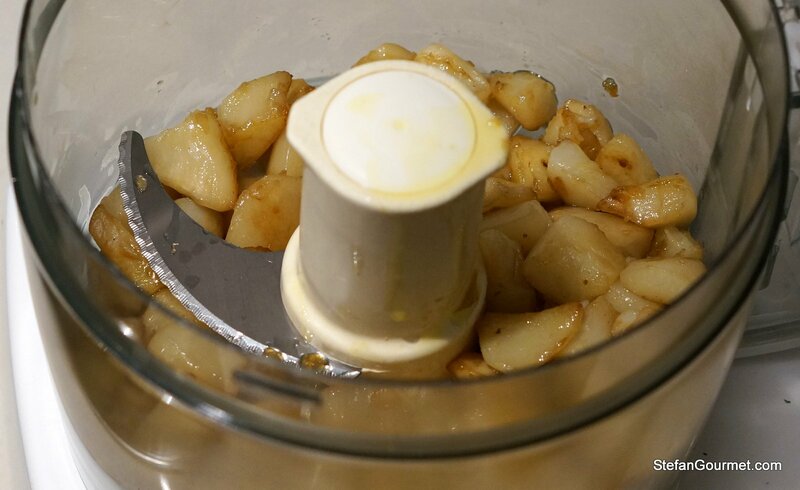 …and add them to the melted butter. 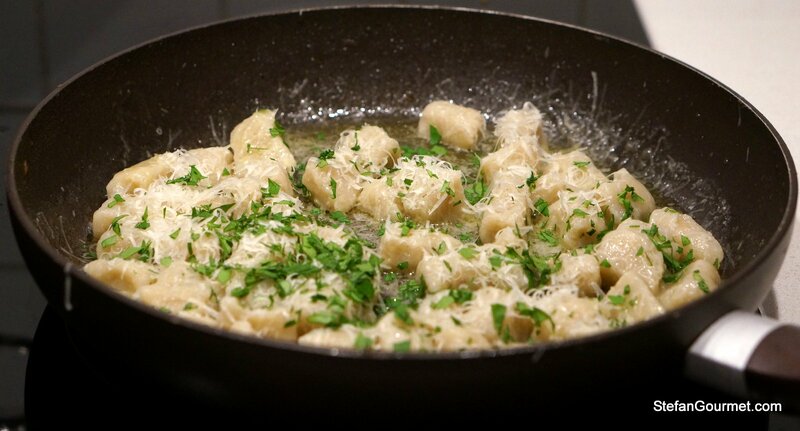 …and shake the pan to coat the gnocchi with the butter, cheese, and parsley. Taste and adjust the seasoning with salt and freshly ground black pepper. Serve immediately on warm plates, sprinkled with the remaining parsley and parmigiano. Artichokes are notorious for being very difficult to pair with wine, and unfortunately the same goes for these jerusalem artichoke gnocchi. I love Jerusalem artichokes when I can get them ~ here in the country they do not always seem to be the ‘flavour of the month’ 🙂 ! Since they have such a distinct flavour of their own I do not think they need much in the way of additions. Have never had the logical thought to make them into gnocchi but shall certainly try . . . umm, the ones in the market always seem to be ‘gnarly’ . . .well, patience is said to be a virtue!! What a great idea! You have so many great vegetables available to you. 🙂 This looks scrumptious. Fantastic dish and brilliant idea! 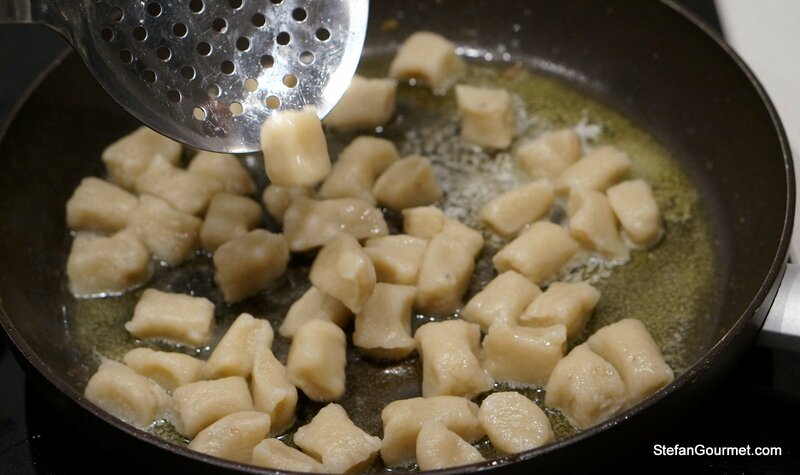 I love Jerusalem artichokes but it never crossed my mind to make gnocchi with them. Bravissimo, Stefan! Thanks, Francesca. What sauce would you like with this? A lot of work, but I bet they’re fabulous! That depends on whether you like (Jerusalem) artichokes. Kees didn’t care much for them, but that may have been to serving them with butter, parmigiano and parsley only. But does Kees like artichokes?